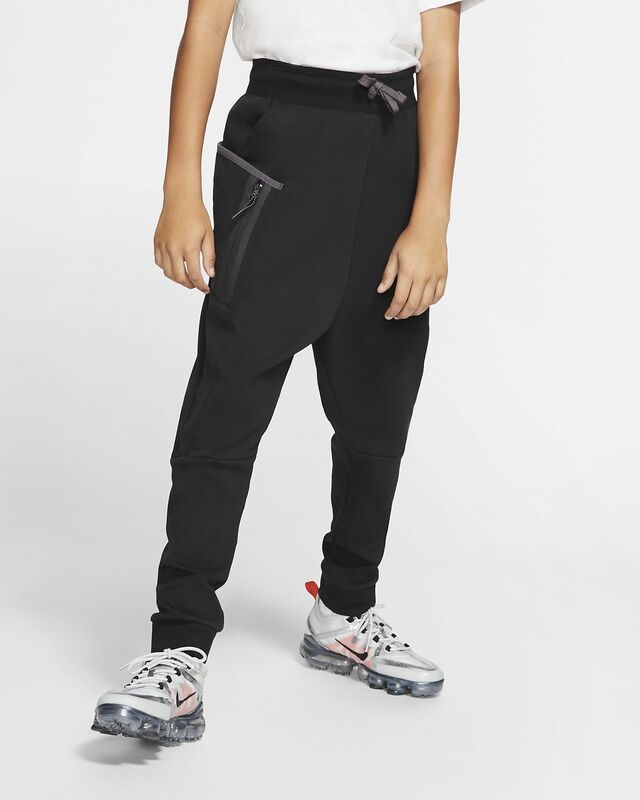 The Nike Sportswear Tech Fleece Pants are made of tri-layered fabric to bring you the ultimate in lightweight warmth. 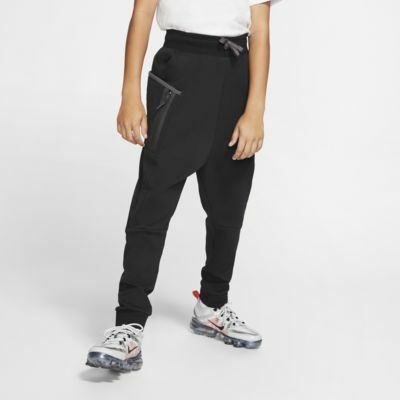 The relaxed jogger fit has exaggerated pockets on the sides for storage. Nike Tech Fleece fabric brings you the ultimate in lightweight warmth. Multiple exaggerated pockets store your gear. Elastic waistband and drawcord let you adjust your fit. Fabric: Body: 69% cotton/31% polyester. Rib: 97% cotton/3% spandex.